Invest Openly: What Is Your Next Breakthrough? What Is Your Next Breakthrough? We are coming to the last week of the 3rd Quarter and soon we are heading to the last quarter of 2018. Like last year, and the year before last, and the year before last last year (I think you get what I mean), we are living with hits and misses every single year. I am not only talking about your personal finance or your investment but rather life in general. We are deemed growing only if we learn/do something new, otherwise, we are just passing the time with repetitive daily routines. So, it is important to have regular breakthroughs in experiencing new things (of course I am referring to something legal and morally right). 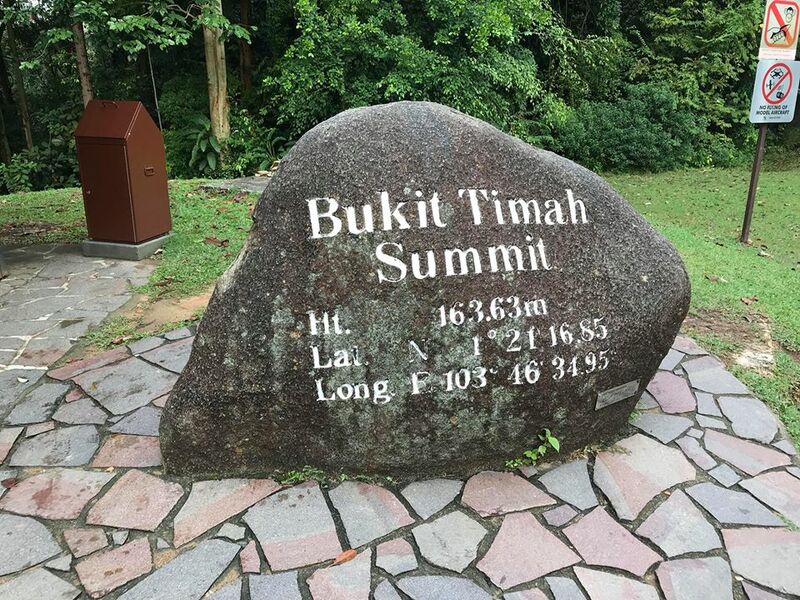 Today, I "conquered" our highest Bukit Timah Summit for the second time and it's a breakthrough to me. Wait! why is second time still a breakthrough? You see, this time round, we trekked with another NEW route and it took us shorter time to reach the summit (around 25 minutes) as compared to the previous round, which took us around 40 minutes. Also, we extended our trekking to another path which lead us to a Quarry that we never knew exist. Also, personally think that breakthrough need not be something grand or massive, even though the satisfaction level might not be as great, but I would rather collecting many smaller breakthroughs rather than only one or two big breakthrough in life. Remember, life is not a sprint, life is a marathon. My next breakthrough probably is in the space of art. I always wanted to try my hand on those freestyle water color painting to reignite my creativity/imagination, so, I guess I will arrange one in the near future. What about you? What is your next breakthrough?